Annually, approximately 3-4 million manuscripts are submitted to various journals for publication. Each journal initiates the ensuing publication process with the screening of the manuscript before finalizing it for the peer-review process. Screening includes analysis of the paper based on the journal’s aim, scope, and reader’s interest. The decision is also influenced by the clarity of the content and adherence to journal instructions. In most journals, around 60-70% manuscripts are rejected during the initial screening process. Once selected by the journal editors, the paper is sent to peer reviewers. Peer reviewing is a critical assessment of the manuscript by subject experts who are not part of the journal’s editorial team. Hence, journal editors carefully select the reviewers, also known as referees, based on the latter’s expertise in the subject area so that they are competent to review papers that include technical aspects. Some journals ask the authors to recommend both preferred and non-preferred reviewers to save their time while searching for appropriate reviewers for the paper. Peer review has become an intrinsic part of the journal publication process because it gauges the quality of the paper and determines whether the manuscript is worth publishing. Generally, journals complete the peer-review process within 3-4 weeks; however, some journals have no time restrictions. The peer review process is categorized into three types: single-blind, double-blind, and open. The first type hides the identity of the reviewers, whereas the second hides the identities of both the authors and the reviewers. Conversely, an open peer review reveals the identities of the authors to reviewers and vice versa. Acceptance. The manuscript can be published in the submitted format. Rejection. The manuscript is rejected. Acceptance with minor revisions. The manuscript needs minor revisions and can be published after incorporating the revisions. Acceptance after major revisions. The manuscript needs major revisions by the authors and can be considered for acceptance after the revisions are incorporated. Revision and resubmission. The paper requires additional statistical and/or editorial revision followed by resubmission. Apart from these decisions, there are few more scenarios in which a manuscript can be published. Some journals follow a reject and resubmit policy. For the authors, this involves a repetition of the entire submission process after making fundamental changes in the paper as advised by the journal editor and peer reviewers. On the other hand, few publication houses reject the paper for the target journal and advice the authors to transfer the submission to another journal within the same publication house. This is referred to as the journal cascading process. Even if the post-submission processes apparently showcase more cons than pros of the submitted manuscript, they eventually help enhance the quality of the manuscript. Tables and illustrations are important tools for efficiently communicating information and data contained in your research paper to the readers. They present complex results in a comprehensible and organized manner. However, it is advisable to use tables and illustrations wisely so as to maximize the impact of your research.They should be organized in an easy-to-understand format to convey the information and findings collected in your research. The tabular information helps the reader identify the theme of the study more readily. Although data tables should be complete,they should not be too complex. Instead of including a large volume of data in a single unwieldy table, it is prudent to use small tables to help readers identify the important information easily. Finalize the results that are required to be presented in tabular form. Include the data or results that are relevant to the main aim of the study without being choosy and including only those results that support your hypothesis. Create each table in a lucid manner and style without cluttering it with in-table citations. Number the tables in a sequence according to their occurrence in the text. Don’t mix tables with figures. Maintain separate numbering systems for tables and figures. Create tables in a storytelling manner. Remember that your tables communicate a story to the reader that runs parallel to the text. If you are using or reproducing tables from other published articles, obtain permission from the copyright holder (usually the publisher) or/andacknowledge the source. Do not repeat the tabular contents in the text again; that will create confusion among readers. Use clear and informative text for each table title. Take extra care while extending the data in your tables. If you have too many tables, consider using them as appendices or supplementary materials. Create tables with sufficient spacing in the layout so that they do not look messy, crowded, or cluttered. Do not forget to spell out abbreviations used in the tables, ideally in the footnotes. For the reader, a research paper that is dense and text-heavy can be tiresome. Conversely, tables not only encapsulate your data lucidly, but also welcome a visual relief for the reader. They add value to the layout of your paper. Besides, and more importantly, reviewers often glance at your tabulated data and illustrations first before delving into the text. 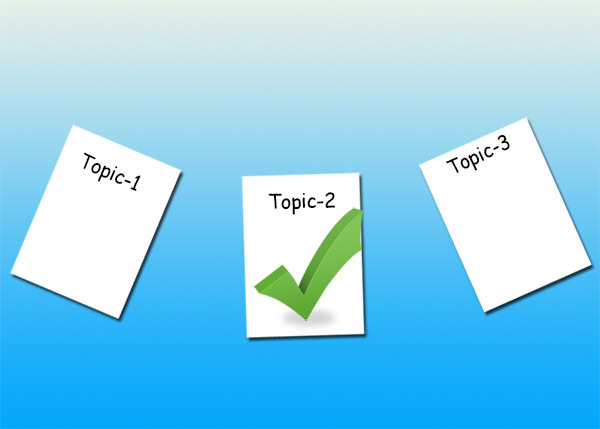 Therefore, tables can be the initial draw for a reviewer and deliver a positive impact about your research paper. If you can achieve an optimum balance among your text, tables, and illustrations, it can go a long way toward being published. 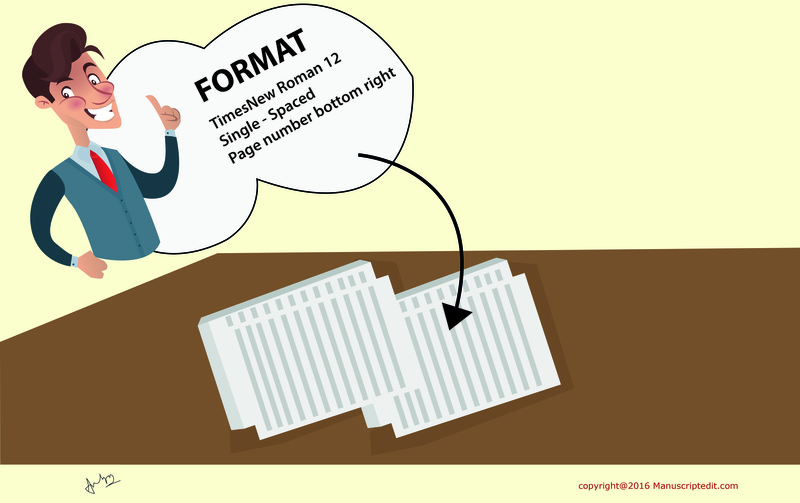 A properly formatted manuscript is likely to be preferred by a journal editor compared to an unorganized alternate version. 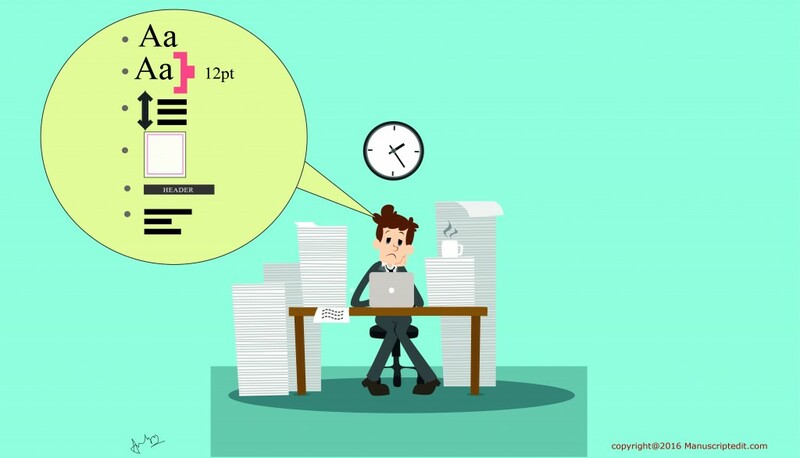 Hence, instead of submitting a manuscript with your data and text in a disorderly stack, it is crucial to format your manuscript according to the guidelines of the targeted journal before submission. 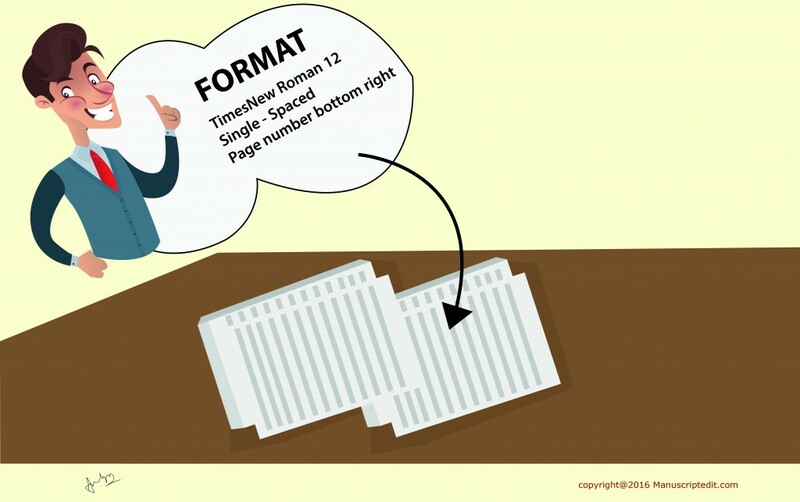 You should ensure that your manuscript is properly formatted to reduce the publication time. On the other hand, an unorganized manuscript is often returned by the journal house weeks after submission with instructions to adhere to the formatting guidelines. That entails lost time in the publication process. Page size: Use 8½ x 11-inch size of normal sheet. Page margin: Keep all margins within 1 to 1½ inch. Avoid using end-of-the-line hyphenation or justified margins. Spacing: Use single or double spacing uniformly for the entire manuscript. Font: Use 12-point font size of Times New Roman or Arial. Try to avoid fancy fonts. Page numbering: Number each page of the manuscript according to the guidelines given by the target journal. Manuscript sections: Divide your manuscript into clear sections such as title page, main text, references, appendices, footnotes, acknowledgements, tables, figures, and figure legends. On the title page, provide your name, address, phone number, and e-mail address of the corresponding author. It is a good practice to mention the word count of the abstract and main text, and the number of figures and tables. Check whether the journal guidelines call for a blinded manuscript for the peer review process. If yes, ensure that your manuscript is prepared in a way that does not give away the authors’ identity. Maintain a sequential pattern of headings and sub-headings. Mixed-up sections can confuse editors and peer reviewers. Follow the house style of the journal for both in-text and end-text references. 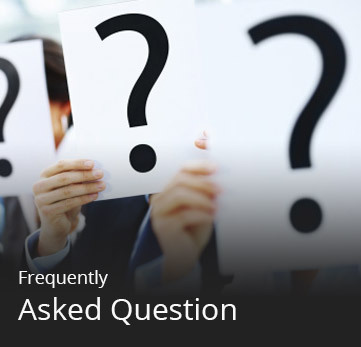 Journals often ask for signed copyright transfer agreements, conflict-of-interest forms, patient consent forms, funding information, and ethical approval related data. Cross-check the forms before submission. Non-complying manuscripts can be returned for corrections months after the submission, which results in unnecessary delay in publication. Manuscript formatting is quick and easy. If you conform to the aforementioned details, you can prepare an attractively formatted manuscript that is likely to be welcomed by the journal editors. If you face any obstacles in the formatting process, seek the services of professional manuscript editors who can tailor the format of your manuscript to fit perfectly with the target journal’s guidelines. ‘ Authorship’ denotes the practice of providing truthful credits for intellectual contributions and innovative concepts. It not only helps authors acquire the credit for the work, but also ensures that they assume responsibility for the research conducted and presented. Moreover, it is perceived as a tool for personal satisfaction, prestige, and especially, a stepping stone in a writer’s academic career. Though the term sounds interesting, it involves high risks and problems in practice. The Committee on Publication Ethics (COPE) often receives disputes regarding authorship. 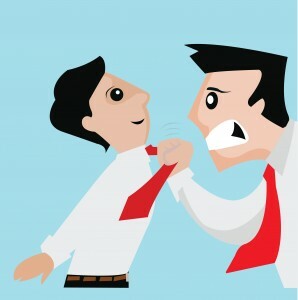 These cases usually involve disputes like the omission of a deserving junior researcher’s name from the authors’ list or a proposal by a sponsor for including the name of a non-contributing author. However, it also received a shocking complaint from a female author, who said that her name was replaced with that of her boss in the final version when she was away on maternity leave. Apart from having a direct impact on the publication in question, authorship disputes can also have repercussions on a writer’s fair credit, collegial relationships, future collaborations, and reputations. 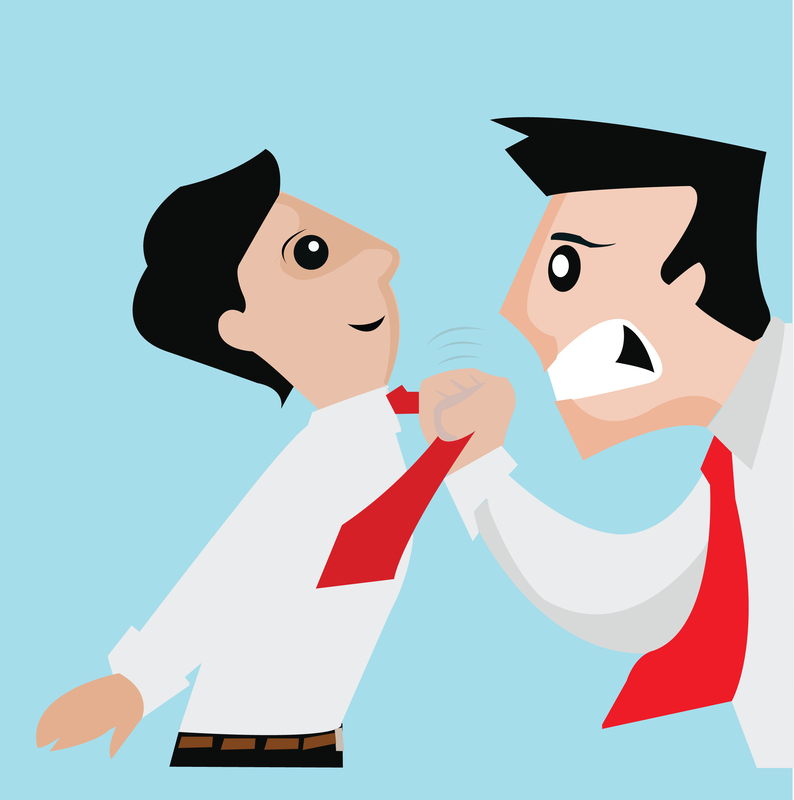 Following the adage that prevention is better than cure, the following are some guiding principles to avoid conflicting situations like authorship disputes. Each publisher follows specific authorship guidelines enunciated by organizations such as the International Committee of Medical Journal Editors (ICMJE), World Association of Medical Editors (WAME), Council of Science Editors (CSE), Committee on Publication Ethics (COPE), and Good Publication Practice (GPP2). Non-compliance with the concerned guidelines—i.e., unequal application of authorship criteria, granting authorship to undeserving individuals, and/or omitting authorship to deserving individuals—is considered to be a serious offense in the academic world and can be construed as research misconduct. All the authors of a paper should discuss and finalize the authorship order and contributions along with respective responsibilities before beginning to prepare a manuscript and, if possible, even before starting a study. In few cases, it has been observed that even if the authors have agreed to the sequence of authorship and contributions, fraudulent authors make last-minute changes in the manuscript or research paper just before submission. This leads to conflicts in publishing the paper, and some even end with retraction of the paper. To avoid such anomalies and unpleasant situations, it is advisable to comply with the agreement made between the author and co-authors. However, even the best plans sometimes fail. So it is better to track and revisit the issues and monitor any changes or modifications in authorship or contributions. If one discovers any changes before publication, it can be revised after discussions with the co-authors. Conversely, if the detection is made post-publication, one can contact the journal along with the written agreements and evidence of contributions, and request for a correction or a retraction of the paper. In a commentary published in the Mayo Clinic Proceedings Journal New York University bioethicist Arthur Caplan convokes scientists and physicians to take a stand against predatory publishing, plagiarism, and fraudulent publications, which are polluting the fields of science and medicine. He also warns that if the medical and scientific communities continue to remain in denial of these trends, the trustworthiness, utility, and value of science and medicine will be irreparably damaged. In this era of digital publication of research works, the popularity of online scholarly journals has led to the emergence of an open-access publishing mode in which authors are often asked to pay to get their accepted papers published. This mode has become so widespread that some online journals have started misusing it. They use deceitful practices to cheat the author and pollute the network of scholarly publications. This is why they are categorized as predatory journals. When the problem of predatory publications was posed to Jeffrey Beall, the well-known librarian and associate professor at Auraria Library in the University of Colorado in Denver, he stated that researchers, science communication, and science itself are the victims of this publication pollution. How do such predatory journals thrive? In the initial stage, these publishers approach authors through personalized and deceptive spam e-mails to persuade them to publish their research works in their journals. They also falsify impact factor rankings to allure researchers and authors. However, they hide the names of the owners, editors, and reviewers, and don’t even disclose their business address. They deliberately hide the fact that an article processing fee has to be paid prior to the publication of the paper. Thus, authors remain unaware about publication charges until they receive the invoice from the publication office. Later, they are forced to pay because of a sense of obligation and the urge to get their research published. This style of publishing pressurizes the author to search for alternative means to cover the unforeseen expense. The publishers also include a list of reviewers and editors on their journal pages without seeking their consent. The journals pay no heed to the requests of authors to remove those names. This trauma adds to the highly stressful experience of authors as they struggle to publish their research for better job prospects. In a bid to make their CVs more impressive by increasing the list of published works under their belt, authors fall easy prey to predatory journals. The eagerness to publish articles has led many authors to the path of open-access publishers operating hundreds of journals. Barely four years earlier, the market share was dominated by larger, long-established institutions, each with 100 or more different journals in the field of science. However, according to a survey mentioned by Cenyu Shen and BoChrister Bjork in their research on predatory publications, approximately 8,000 journals of 963 predatory publishers have published nearly 420,000 articles. These predatory journals are not only deceiving the authors, but are also polluting the academic and scientific research world. Here are some glaring problems in these predatory publications. Predatory journals encourage plagiarism, self-plagiarism, image and data manipulation, salami slicing of one research into several papers, and host and honorary authorship. Though some of these practices also occur in legit journals, the frequency is much more in fake ones because the prime driver of spurious journals is revenue growth. Therefore, predatory journals publish articles without subjecting them to a stringent review process. As a result, non-science and fake research articles are published in science journals with manipulative data and findings. This weakens the process of academic research. Moreover, the whole scientific research world experiences a breakdown when such articles are cited in other scientific articles in cyclical effect. Predatory journals gradually turn out to be a tool for unscrupulous authors who desperately want to obtain the annual published articles margin in their names. With fake journals offering to publish articles within a short span of time, the complicit authors succeed in publishing subpar articles. They don’t even hesitate to publish articles authored by others in their name. In case the journal disappears from the academic community, authors not only lose their publishing fee, but also their published research work. Therefore, in order to shield yourself from this pollution, you must carefully review contracts with your publishers and assess the publisher’s rights and assertions. That will help you ensure a long and durable relationship with your publishers. Even if the process of getting your paper published in well-known real journals is tedious and painstaking, it is definitely worth it to protect your research from being misused. 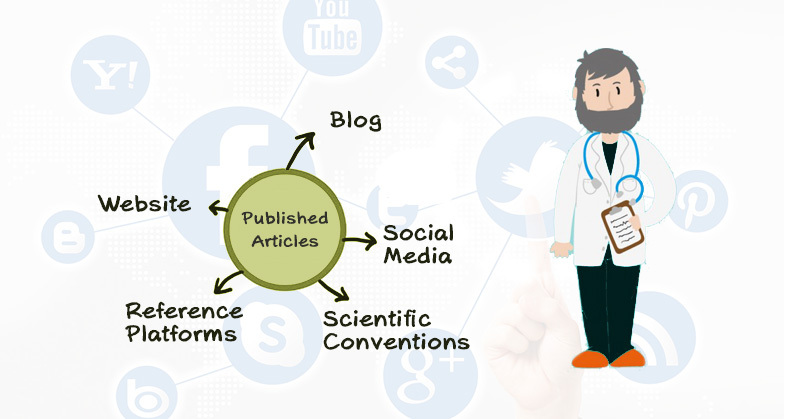 Now-a-days, you need to utilize various online mediums to get the added eyeballs for your research articles and promote your research findings and publications to a wider audience. These mediums include social media, search engine optimization (SEO), and blogs. Here are some effective ways to promote your published research. 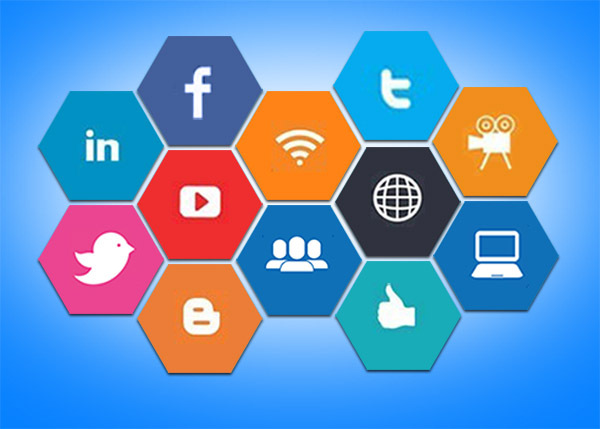 Once your paper is published, take advantage of the many social media platforms to inform your close peer groups, followers, and other academicians in your network to read and follow your research. If you have an account on Twitter, Facebook, or Google+, you can update your research status by sending them a message. Some social media also offer features to track feedback and count “likes” generated by your article. The top rated scholarly or academic reference managing platforms such as Academia.edu, MyNetResearch, ResearchGate, and Mendeley help keep scholars of the same discipline or research branch connected and updated about their latest achievements. Provide links to your latest articles on your institutional website and online academic curriculum vitae. Interested readers can read, follow, and cite your latest research and publications. Maintain your own academic blog and link your article to your blog to enhance the chances of discoverability on web crawlers and search engines. Moreover, post small write-ups about your published research works. Every day, scholarly articles are receiving approximately 12,000 mentions via blogs, otherwise known as Altmetrics. You could be among them. Present your papers at conventions. That will enable not only fellow researchers, but also the journalists covering the conventions, to access your research and promote your publications. Apart from these post-publication tips, you can also promote your article even before it is published. You can use SEO tools for increasing the number of hits. Use clear and widely searched keywords, especially in the title and the abstract. You can add these keywords while creating headings and subheadings for better visibility in search results. But you need to avoid overdoing this because unnecessary repetitions can have a detrimental effect on the visibility in search results. In the world of research, the dominance of the English language has been experienced by all native or non-native English speaking (NNES) researchers. Not surprisingly, this often finds a place in academic discussions worldwide. The minimum expectation of academic journals, apart from the quality of research, is that your paper must have a strong foundation in the English language. In fact, competence in the English language has emerged as an essential component for giving your research the necessary visibility and acting as a stepping-stone to publication in international journals. With English as the lingua franca for publication in reputed science journals, academic works in English far exceed those in other languages. This has left non-native English speaking scientists with the predicament of struggling to gain recognition for their work. It is difficult for them to survive in this increasingly competitive English-oriented world of academics. On the other hand, publishers of international journals are also in a dilemma because of the growing number of extremely cogent and potent researches written by non-native English speaking authors. Although these researches carry important findings, they are often rejected by editors and publishers because of poor language skills that impinge clarity. For instance, these researches might present the scope of the study in language that lacks lucidity and carries many editorial flaws. Language is also a barrier for many NNES writers due to a lack of understanding of the instructions to authors for the target journal. Apart from these obvious obstacles, linguistic errors and plagiarized text are also major hindrances in getting the paper published in international journals. While highlighting these obstacles for NNES writers, it is more important to look for solutions that will help them circumvent these problems. There are some fundamental guiding principles that NNES writers can follow to overcome the hurdles on their publication journey. Have patience. If your paper is rejected, follow and address the editors’ and reviewers’ comments on your paper. Incorporate the required modifications and improve your paper for the next submission. Do not feel disheartened and keep trying until you succeed. Linguistic corrections. Friends and co-workers can be your best critics in your research journey. Get your paper reviewed on the grounds of language and other loopholes before submitting. Study published papers. Some NNES authors are prominent researchers who have published their papers in international journals. Study their work and follow their style without falling into the pitfalls of plagiarism and imitative research. In short, follow their writing style, but be original in your research. Select the right journal for your paper. Apart from the bulk of international journals, some academic journals are interested in publishing the researches of non-native English researchers. Hence, search for the right journal by analyzing papers by NNES authors similar to your research to increase the chance of acceptance. Follow the target journal guidelines strictly. Many papers are rejected or returned because they do not adhere to the guidelines for manuscript preparation. Therefore, ensure that you follow them strictly and format your paper accordingly. Team up with your co-researchers. It is possible to analyze most academic publications and gauge their preferred perceptions, strategies, and criteria for publication. To leverage this factor, create more contacts with experienced researchers and look for potential areas of collaboration in research and writing. Editing services. 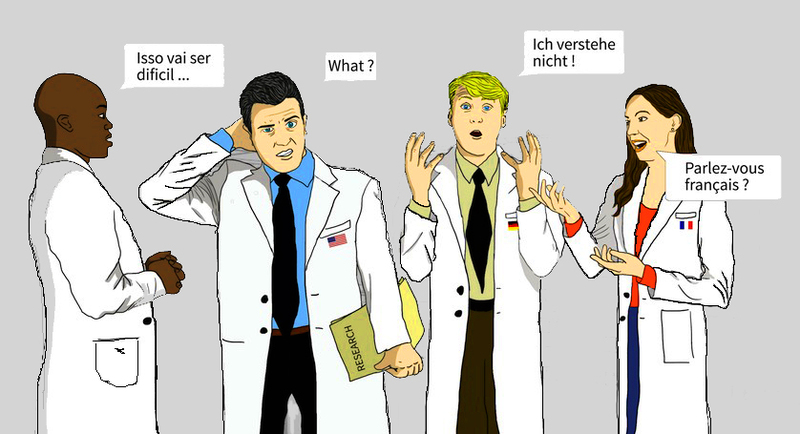 Consider taking the help of language editing services offered by native-English speakers with scientific expertise. Such services improve the language, presentation, and scientific research content. They can work on the language flaws in your paper and lower all the barriers in getting your paper published. These services can also help you respond to the editors’ and reviewers’ comments on your paper. Instead of becoming despondent and dejected, it is far more critical to make use of your time optimally by identifying appropriate ways to overcome hindrances and strategize well for publishing in English journals. Writing a research paper with innovative and groundbreaking findings might be a difficult task in itself, but a carefully formulated title is also just as important. By its sheer positioning at the top, the title occupies a pristine position in your research paper and readers, reviewers, and editors are inadvertently drawn to it first. This makes it imperative on your part to give considerable time and thought to go through several iterations before finalizing the title of your research paper. The title needs to be clear, concise, and indicative of the research topic. 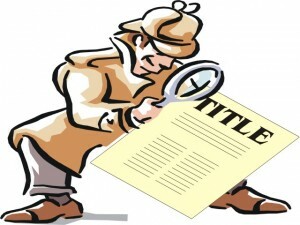 Often, readers consider the title as the primary parameter to check the suitability and importance of a research work. Hence, the title should be enticing without being verbose, so that the reader is persuaded to read the abstract that follows the title. Much like the cover of a book, it is the main heading of a research paper that leaves an indelible imprint in the reader’s mind. Besides, in this age of Internet search queries, the title can technically act as a metadata string that highlights the aim of your research and helps other researchers locate your paper when they use a web crawler. Use proper sentence structure in the title. Consider the target audience of your paper before selecting words for the title and structure them accordingly. Think of a short title that best expresses the salient features of your paper. 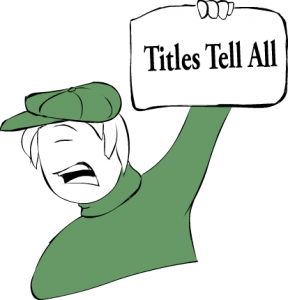 Avoid descriptive, interrogative, or rhetoric titles for scientific research papers. Try to include the fine points of the subject population (e.g., children with autism and alcohol-withdrawn patients, etc.). Focus of the title should be on the outcome of the study. Restrict the use of abbreviations unless they are exceptionally common. Never construct the title on the basis of statistical findings of the paper. A title of an article or a paper, irrespective of its type and genre, should be able to express the main objective of the paper in order to be useful for readers or researchers. That will lead more web searches to your research paper and increase the chances of it being cited in other research work. English is recognized as the lingua franca for scientific publications. This might be considered to be a deterrent for Non-Native English Speaking (NNES) authors because they find it difficult to assemble their thoughts and prepare their manuscripts for submission to the leading journals. Therefore, many new scientific researches or revelations might never come to light. NNES researchers and authors usually seek international recognition instead of being confined to their national boundaries. Consequently, they opt for international journals in English. However, these journals are very particular about the language structure and a manuscript with poor language is inevitably rejected. Even if the paper is accepted, the journal reviewers will come down hard on any ambiguity in the language and give a negative feedback. In few cases, they can reject the manuscript citing lack of relevance to the journal’s scope. In this scenario, NNES authors can seek solace in proficient editing services, which can help bring their manuscripts to the required standard. Professional editors can tweak sentences and content to expunge ambiguous statements, so that the research is presented in a clear, lucid, and cogent manner. Sentence structure: They commit mistakes in basic English writing, particularly grammatical mistakes. Clarity: They often face the problem of expressing their ideas in English, which leads to complex and wordy sentences that impede understanding. Subject specific terms: They are often unable to use technical terms appropriately, which might lead to serious fallacies. Rather than being disheartened, NNES authors should take measures to overcome the obstacles on the way to getting published in reputed journals. They should keep the text as simple as possible by reducing the sentence length, vocabulary usage, and complexity. Usage of idioms and phrases should be minimized. The paper should contain only subject-related technical terminologies. The context of the paper should be clear and concise so that the referees build-up an understanding about the subject while reviewing. These writing guidelines, coupled with the expertise of a professional editor, can go a long way in ensuring publication in renowned journals. 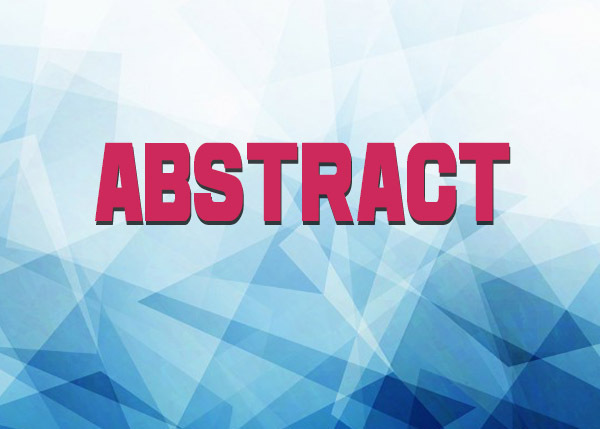 The abstract, which is a concise portrayal of the research work, is a decisive factor for the target journal or reader. It is not only essential to encourage people to read your paper, but also to persuade them to cite it in their research work. Thus, it is worth investing some extra time to write an attractive yet simple abstract. First, it is important to read the main text several times to mentally absorb and retain the whole research work. Thereafter, attempt a draft that does not merely copy the sentences from the main text of the paper. Instead, the abstract should encapsulate the research concisely. Going through several iterations is a good way of improving an abstract. The first few sentences of the abstract should illustrate the background and the purpose of the research work. These sentences should grab the reader’s attention and create an inquisitiveness to read in greater depth. The next couple of sentences should focus on the methodology of the research. Finally, the abstract should end with the result and conclusion part, which should be summarized in just 3-5 sentences. This part should be concise and emphasize the significant results and not the statistics. Once the draft is done, proofread the draft to refine it as much as possible. Avoid verbose writing and verify the text for coherence of the information provided and proper usage of grammar. 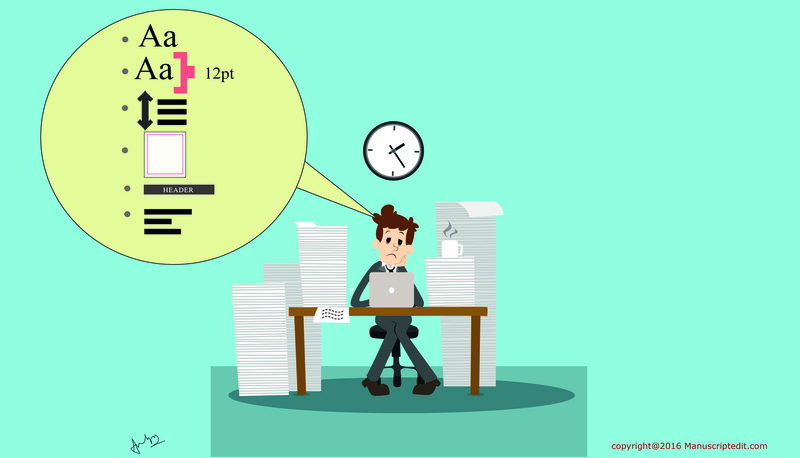 Besides text, scientific journals have come up with a new idea of summarizing their research paper through a graphical abstract. 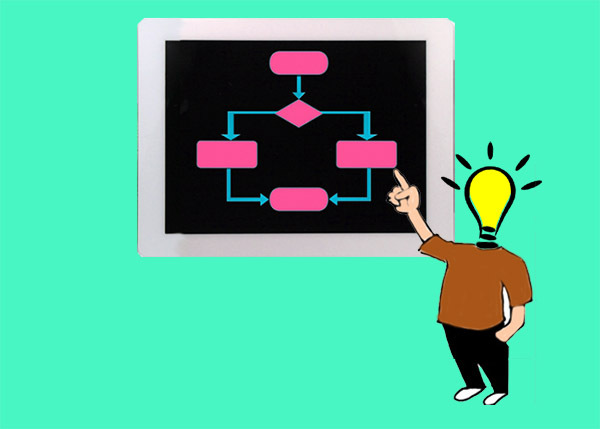 A graphical abstract is a single, concise, pictorial and visual summary of the main findings of the article. It could either be the concluding figure from the article or a figure that captures the content of the article for readers at a single glance. These days, researchers and scientists find abstract writing to be a cumbersome process and instead opt for a graphical abstract. Regardless of the type of the abstract, it is an essential part of your manuscript that persuades editors, reviewers, and other researchers to absorb your research in detail.